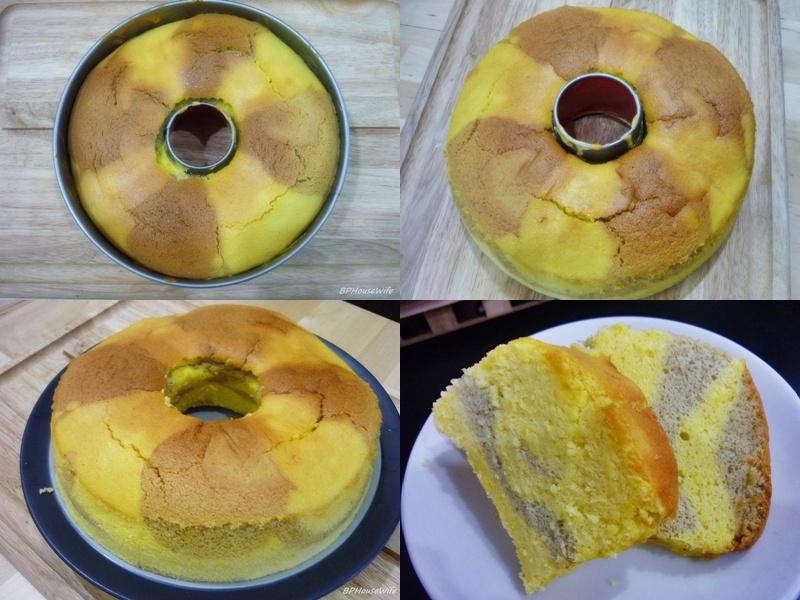 Chiffon Cake is a very light cake made from vegetable oil, eggs, sugar, flour, baking powder and flavorings. In contrast to the traditional cakes, chiffon cake achieve a fluffy texture by beating egg whites until stiff, and folding them into the cake batter before baking. 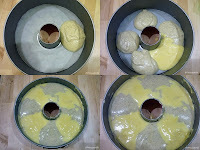 Today, I will make chiffon cake with marble effect on it using my favorite chiffon cake recipe. 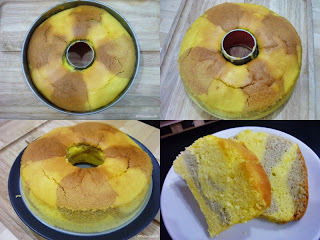 This delicious chiffon cake is made from plain flour, corn flour, eggs, sugar, salt, vanilla extract, fresh milk, orange juice, dried cranberries and vegetable oil. 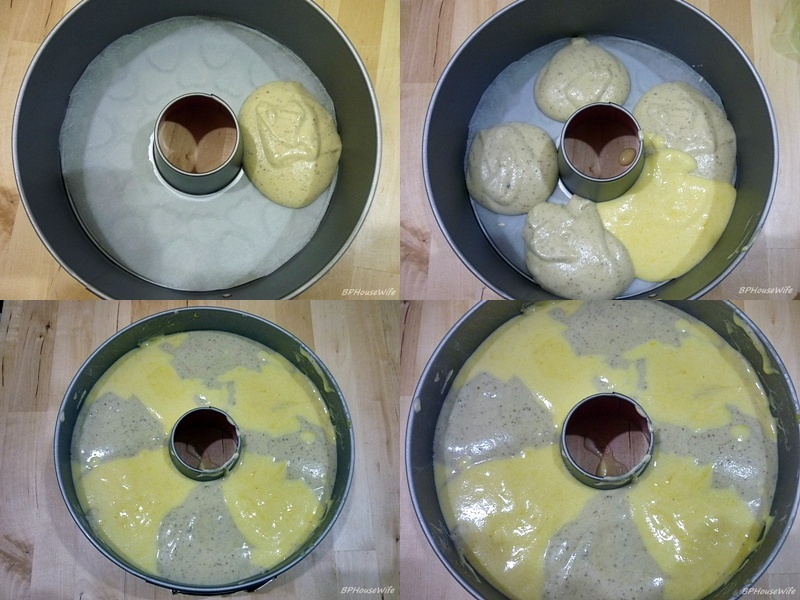 75 grams plain flour. Combine well. Set aside. egg yolks, salt and 15 grams sugar with a balloon whisk. beat until stiff and shiny peaks form. and cranberry mixture accordingly until well combined. 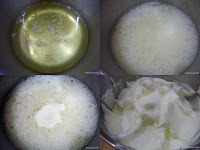 make it hardly rise during baking). until the cake has cooled.